Few movies in Bollywood have the tag of 'cult' attached to them. Andaz Apna Apna is the first name which will come up and rightly so. 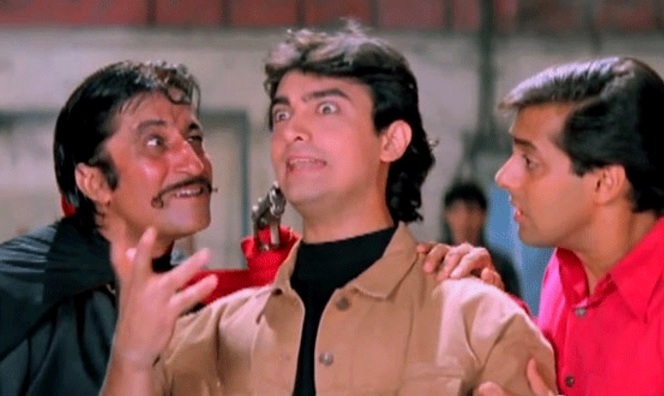 To watch Andaz Apna Apna for the first time is an experience to treasure, that too in an almost packed theatre, with the audience whistling and cheering and laughing like there is no tomorrow; it is a thing of immense joy. While watching a film on TV or a PC is convenient but no matter how much technology improves, it cannot replace or match the experience of a theatre which has more than the quaint romantic charm, a legacy essentially intrinsic to film universe. The love that movie-goer community shares for theatre experience was evident by the welcoming response to the screening of Andaz Apna Apna: having seen it countless times on TV, there are many watching it for the first time in a theatre (since Andaz Apna Apna had an average run at the box office, which is a perplexing fact in itself). The initiative 'Retro In A Metro' started by Zee Classic will foster the Film Culture. Screening Bollywood Cult Classics also offers an opportunity to young film-goers to understand and appreciate classic films. It is also an ideal time for such an initiative to work because the average audience of today is more informed than ever; with choices come preferences and with preferences comes quality. Metropolitan cities have the history, people and space to preserve arts and culture. Like Ramesh Sippy's Sholay, Rajkumar Santoshi's film is popularized majorly by its dialogues which have achieved an 'iconic status.' While Sholay's dialogues were cool and powerful, Andaz Apna Apna is witty, fast-forward and smug. It is obvious that Andaz Apna Apna is loved by people of all ages because of the laughter fest this film is, from start to finish. It is termed as a 'classic' as it is not a typical entertainer for which one needs to leave their logic outside the theatre. 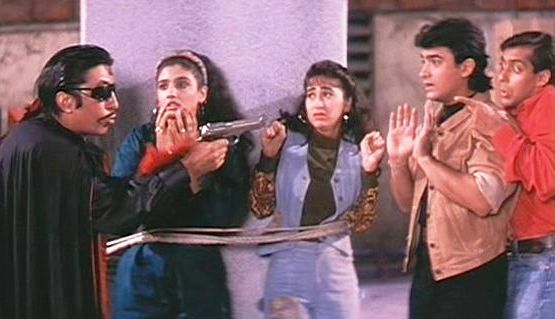 Andaz Apna Apna is clever and relevant and it was far ahead of its contemporaries. The self-aware style for instance, it roots its characters far away from the glam and showbiz of the film industry, yet it takes advantage through continuous references of the industry. The situations and characters may be extraordinary and peculiar, but their response and general attitude is strikingly natural. Andaz Apna Apna derives its beauty from its nonchalant self-awareness on virtue of which it affords to be corny. The opening with both the central characters, Amar and Prem, fantasizing is a classic scene because it is so relatable. None of the main characters are drawn in a rosy picture, little bit of cynicism lends credibility to the motives. Aamir Khan nails the role of Amar Manohar. He is cool, confident and ambitious but tends to be impatient, always getting too far ahead of himself. Our hero is failing, our hero has the same insecurities that we have, yet we laugh at him, and surprisingly, even cheer. Aamir Khan as the lead is steering the ship. His consistent performance sets the platform for other characters. Salman Khan as Prem Bhopali is not too keen to take the centre stage, and interestingly, as the film progresses, he offers more trouble than help. Paresh Rawal has done many popular characters but the dialogue “Teja main hu. Mark Idhar hai” has ascended him to a different level. He plays both the characters of 'Teja' and 'Ram Gopal Bajaj' with same intensity, and also plays them posing as the other half with equal awkwardness, which was even funnier than the confusion itself. 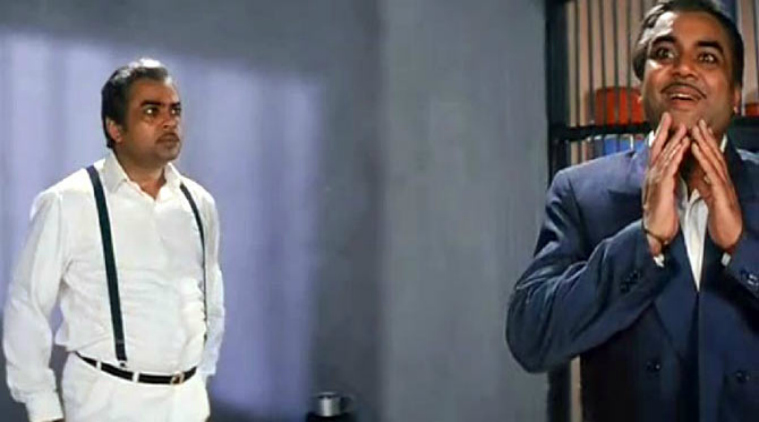 Shakti Kapoor as Crime Master Gogo, Viju Khote as Robert and Shehzad Khan as Vinod Bhalla are the secondary characters (read legendary) who are the reason behind AAA cult status. More often than not secondary characters are used as a means to provide support to the lead actors but the writer Aditya Sohoni and director Rajkumar Santoshi have carefully crafted each character to add more layers to the story and left space for a bit of variety. Even in the absence of lead characters AAA still continues to be funny and never lags in the middle. However, the story is largely told from the perspective of men and both the female actors, Raveena and Karishma, are there for sake of the story but not character themselves which is in sync with the trend back then. The songs are all photographed beautifully but it is true that the dialogues handsomely overshadow the music. The essential reason of Andaz Apna Apna's popularity is in its excellent writing and direction. The creative partnership of Aditya Sohoni (screenplay & dialogue), Dilip Shukla (dialogues) and Rajkumar Santoshi have executed Piyush Changde's original story to perfection. There is a bit of experiment in terms of story-telling which is why it was fresh and original for its time and has a remarkable rewatchability. We ought to be thankful to Zee Classic for their initiative to revive and relive the memories of the fans of cult cinema and offering the younger audience a chance to discover the fuss. ‘Retro In A Metro’ is an experience which everyone should try for it feels fresh for all that has changed today and nostalgic at the same time for all that has remained the same. Thank you for your feedback. Make sure you don't miss this cult-classic next time it is screened.